Laura specializes in complex commercial litigation and defending class actions. Clients appreciate Laura’s practical and efficient litigation style, and her collaborative approach to understanding and solving their problems. Laura has an enviable track record of success in her cases and appeals. Laura won the Treasurer’s Medal for highest marks in the 1995 Ontario Bar admission course, and then clerked for the judges of the Court of Appeal for Ontario. Laura started her career as a criminal lawyer, at a prominent defence ﬁrm. Most recently, Laura is lead counsel defending major class actions for many companies in the areas of securities claims, product liability (pharmaceutical litigation), and consumer protection. Laura has also defended credit card, overtime and employment class actions. 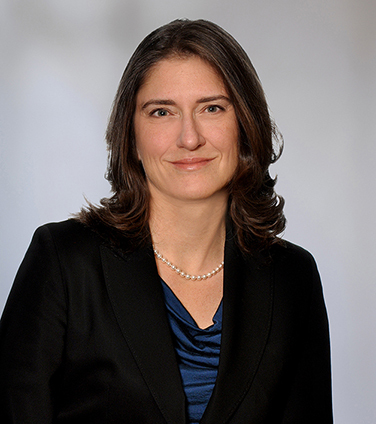 Laura was lead counsel in international arbitration disputes over acquisition and indemnity agreements, and other complex contractual claims. Laura was a key member of the trial team in one of the largest class actions in Canada, and most recently in a very large and successful tax transfer pricing case. Laura acted for many companies in some of the largest corporate transactions in Canada. Laura was counsel in expedited hearings before the Ontario Securities Commission. Laura is recognized for her leading expertise in Canada including by Benchmark Canada (Class Action, General Commercial, Securities), The Canadian Legal Lexpert Directory (Litigation-Securities and Class Action) and in The Best Lawyers in Canada (Class Action Litigation). Laura is a frequent speaker, writer and lecturer on class actions and commercial litigation. BP plc - Striking out the vast majority of a Canadian class action in motions and on appeal in a securities claim arising out of the Deepwater Horizon explosion. Hydro One - Defeating a certification motion and winning a class action appeal for Hydro One claiming millions for alleged incorrect billing. Generic pharmaceutical class actions - including in a class action proceeding launched by the B.C. government involving opioids (acting for Apotex, Pharmasicence, SunPharmaceuticals, Teva) - and in other proposed national class actions involving various drugs including for Mylan and others. Chevron Corporation in defending a claim for recognition and enforcement of an asserted fraudulently obtained Ecuadorian judgment in the billions of dollars. Cameco Corporation in a months-long complex transfer pricing tax trial, where the court dismissed allegations of sham and fraud. Royal Trust (RBC) in a successful summary judgment motion and on appeal dismissing a very large claim arising from a purchase agreement for a business. Groupon Inc. in a Canadian class proceeding involving the expiry dates on Groupon vouchers, including on the settlement approval hearing. General Motors of Canada Limited in class actions brought on behalf of former employees, in cases involving pension and post-retirement and health benefits. Ontario overtime class actions: A map for certification? Author of Ontario overtime class actions: A map for certification?, Canadian Employment Law Today, Mar 20, 2015. Chapter “Employment Class Actions” with L. Sokolov in text “New Perspectives on Canadian Employment Law”, LexisNexis, 2014. Quoted in Class action battles to shift to trial court from motions hearings, Drew Hasselback, Legal Post, Nov 28, 2012. Quoted in Charity lawsuit has implications for class actions, Drew Hasselback, Financial Post, Nov 7, 2012 (with Kevin O’Brien and Karin Sachar). Quoted in Osler’s take on the Look Communications ruling, Barry Critchley, Financial Post, Oct 12, 2012 (with Douglas Bryce and Karin Sachar). Quoted in Confidentiality agreements can make or break a deal; Mum's the word, Derek Sankey, Financial Post, Sept 2012. Quoted in Leo Strine gives confidentiality agreements a firm foundation, Drew Hasselback, Financial Post, May 2012 (with Emmanuel Pressman and Jeremy Fraiberg). Quoted in Overtime Class Cases Still Maturing, Drew Hasselback, Financial Post, May 2, 2012. Canadian courts' jurisdiction: How long is the "long arm of the law"?